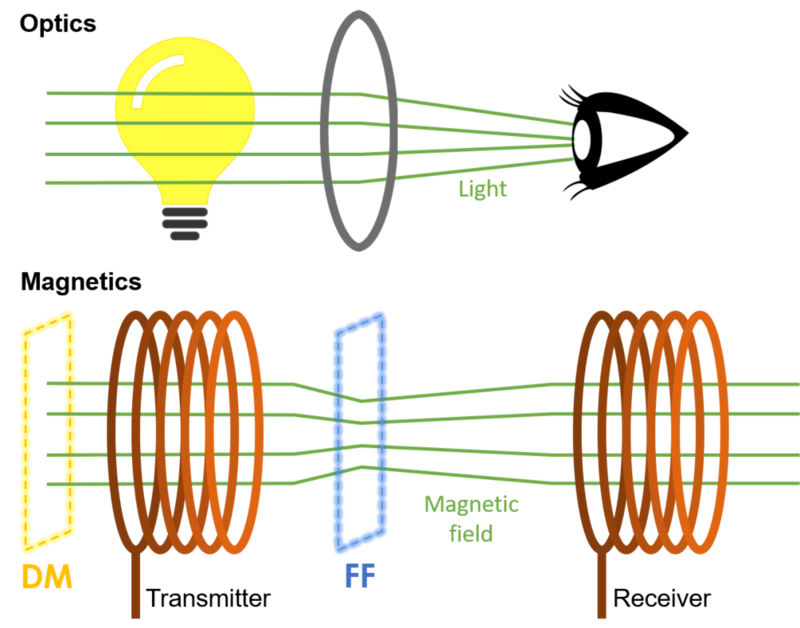 Metamaterials influence the electromagnetic waves by blocking or bending them to achieve a concentration of the magnetic fields in any material or surface. In combination with coils and ferromagnetic materials, MM enhance the inductive transmission efficiency and/or reach. A Diamagnetic Metamaterial (DM) layer is put below a magnetizable concrete substrate instead of a conventional aluminium sheet and a Field-Focusing (FF) layer above the coil. MM are engineered to have a properties not found in nature. They are made from assemblies of multiple elements arranged in periodic patterns, at scales smaller than the wavelength of the application. Download here our informative leaflet!